Excellent stable yield potential in the cooler and KwaZulu-Natal irrigated areas. 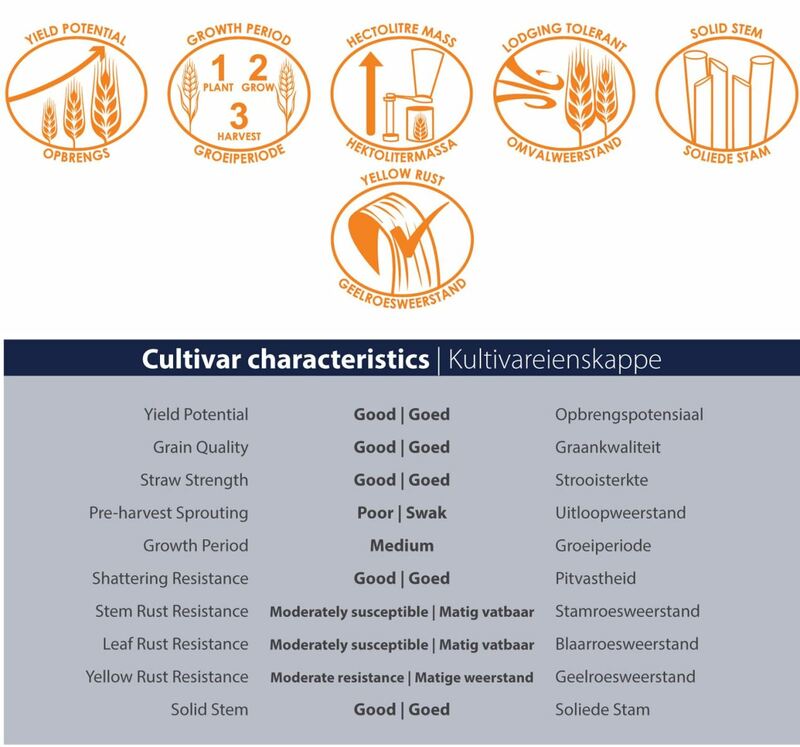 • Good yield potential and good grain quality. • Adapted for medium to late plantings in all the irrigation areas of South Africa. • Solid stem with good lodging tolerance. • Good resistance against yellow rust and moderately susceptible against leaf and stem rust.